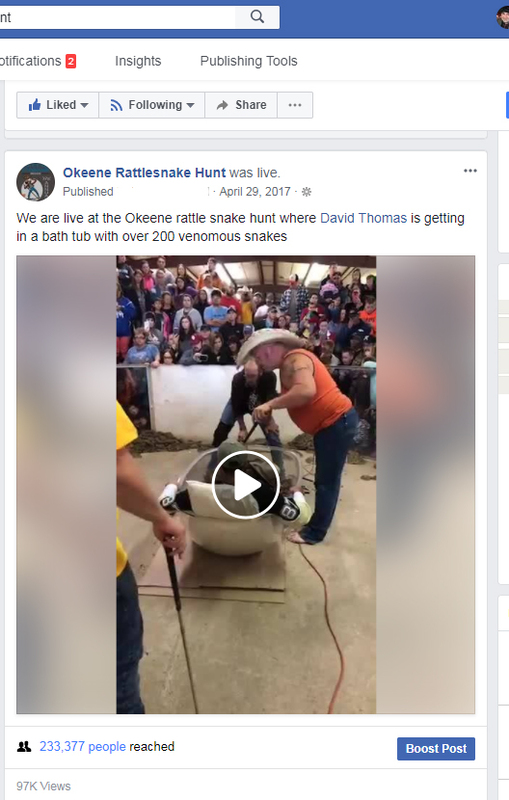 Dave Thomas 200 Rattlesnake Bath on Facebook Live. 100,00 views! promotional material, or reproduced in any other way without the express, written consent of the Okeene Diamondback Club.